English: Bedir Khan brothers. 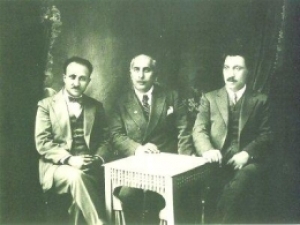 Left to right: Kamiran (1895- 1978), Sureyya (1883-1938), Celadet (1895-1951). Source Image in Kamiran Alî Bedirxan, Institut kurde de Paris.